Notes Shimon and Ilana are a husband and wife team whose appearances have received wide acclaim in every medium of the entertainment world. They have especially distinguished themselves through a series of outstanding recordings of Israeli and Jewish folk songs, as well as children's holiday albums. This recording had its origins in an anthology of original compositions by Cantor Gewirtz that was issued under the title “Ancient Words, New Music”. 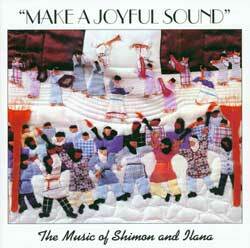 The selections are quite “singable”, and can be used in the classroom, the synagogue or at home. They can also be sung by choruses, young and old, and include material suitable for special programs.